TMC UVs, are the quickest and most effective method for clearing green water. The new TMC Pro Clear Ultima UVC offers a more versatile and professionally packaged unit. 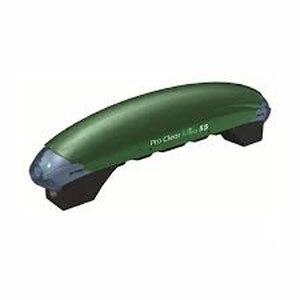 The TMC Pro Clear Ultima UV is available in two sizes; 30W and 55W. The TMC Pro Clear Ultima UV 30W and 55W take 1½in flexible hose. All models come with 5m of outdoor cable and include the required UV tube. Recommended for use on ponds up to 5500 gallons.